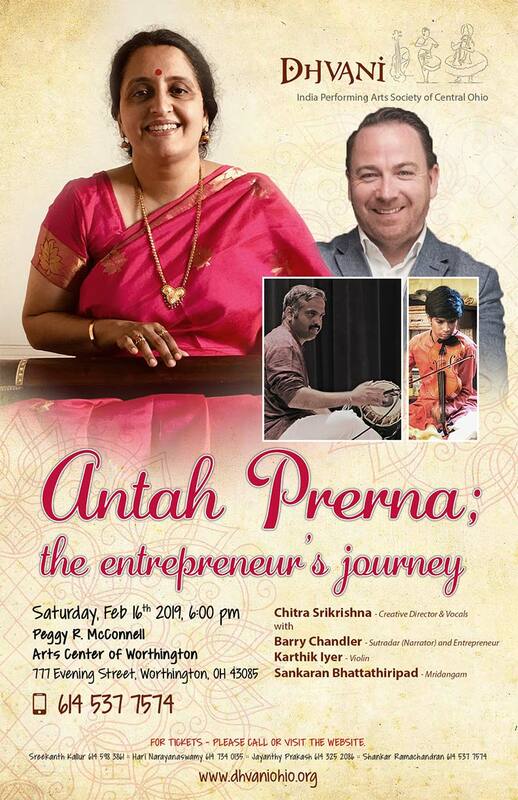 Antah Prerna is a musical telling of an entrepreneur’s journey. The multimedia project explores the journey of an entrepreneur from idea conception all the way to success and growth. It features Irish entrepreneur Barry Chandler narrating his story, an emotional roller coaster of a tale, enriched and elaborated with the music of fourteen Indian composers in nine languages. From the classical songs of Annamacharya and Dikshitar to the abhangs, bhajans, nazms, and more and songs from Bengali to Urdu, the audience is taken through every emotion an entrepreneur experiences from the buoyant and joyful through dismay, despondency, and yearning. The alternating narration and musical rendition enriches the listeners’ experience and has something for everyone – music buffs, entrepreneurial enthusiasts and culture lovers.